The GT-2000 6 is designed for any distance, any pace and anyone looking for a stable, supportive running shoe that you can trust. Whether you're just starting out or you're a long-time GT-2000 fan, this is a shoe that won't let you down. "Have run in this model of shoe for over 20 years and find it works well for me." "Firm, stabilized, yet comfortable and light. Very good shoes." 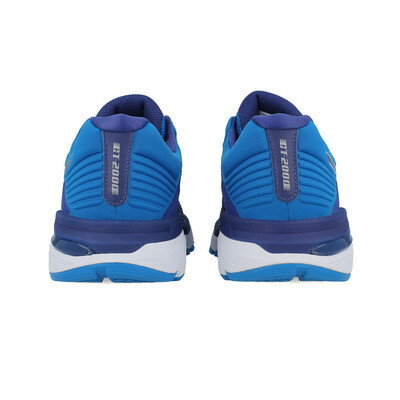 Mesh uppers will encase each foot in breathable comfort. Perforations in the fabric increase airflow to create a better, healthier environment for your feet to thrive in. The forefoot has been opened up to reduce irritation and allow for natural toe splay, and the shoe's seamless construction minimises the risk of rubbing and blisters; because we know how those can ruin your day. Heat welded overlays swathe the foot in improved stability plus durability, helping to anchor you to the midsole and reduce in-shoe slippage so that you can enjoy smooth distraction-free strides. The padded heel adds soft support while a cushioned tongue alleviates lace pressure. Independently placed eyelets also disperse lace tension, further contributing to the customised and comfortable fitting environment of the GT-2000 6. An Ortholite sockliner lies atop a lightweight midsole as an extra helping of plush, step-in comfort. This sockliner has also been treated with antimicrobial technology to reduce the growth of odour-causing bacteria, giving your shoes that fresher-for-longer feel. 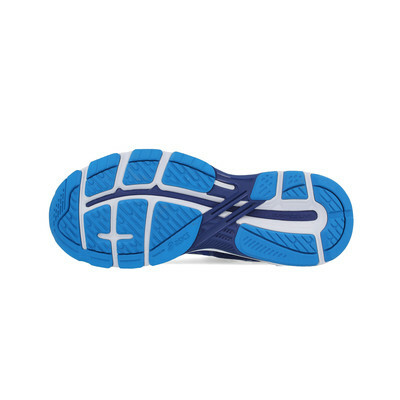 A layer of SpEVA resides below, improving bounce-back characteristics while decreasing midsole breakdown when running. Embedded within the midsole, are the Rearfoot and Forefoot GEL Cushioning Systems. 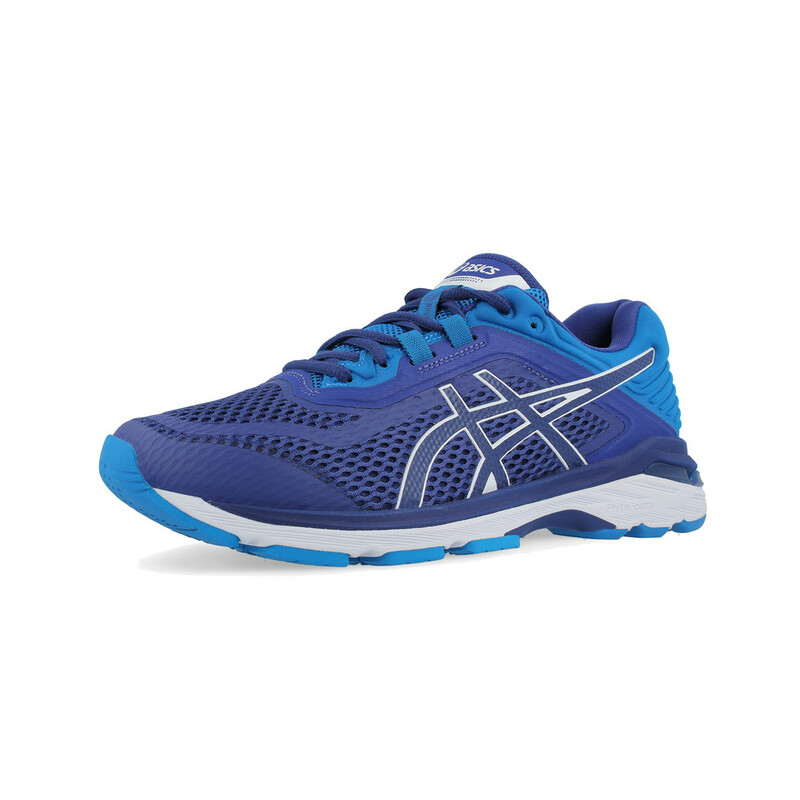 These help to attenuate shock at heel-strike and toe-off, sparing your joints as you sprint down onto hard, unforgiving surfaces, and promoting a smooth transition through the gait cycle. 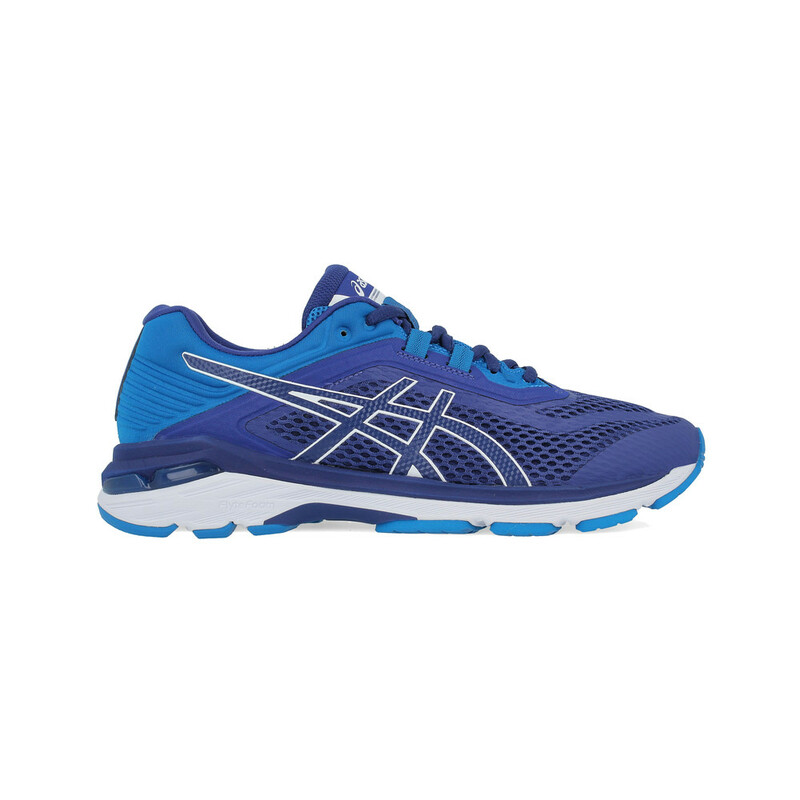 ASICS then play their ace card in lightweight cushioning: FlyteFoam. A third layer of protection, bounce and comfort: it provides you with unmatched shock absorption and a lively ride. FlyteFoam is the lightest cushioning material ASICS has ever made, 55% lighter than the industry standard, EVA, and it buffers against the ground to protect you from unnecessary stress and fatigue. Its reinforced, organic fibres let the material bounce back to its original shape after every run; so you can train harder, more frequently, for longer, without the worry that your shoes might not be able to take it. Resilient and winning, FlyteFoam technology lets you run with the feeling that your feet aren't even touching the ground. 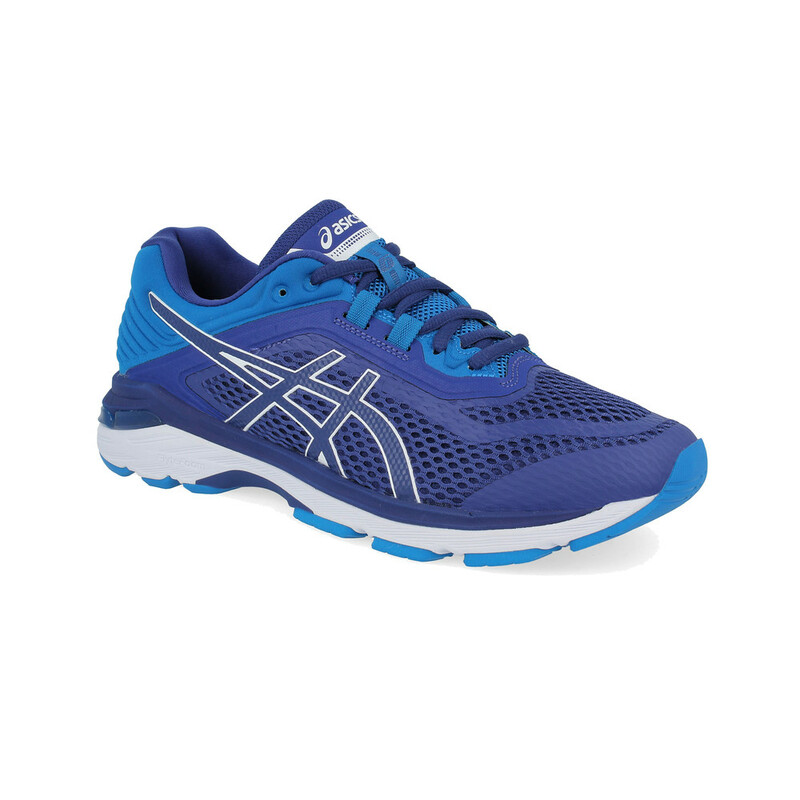 ASICS contrast their cushioning with the Dynamic Duomax Support System. Implemented on the medial side, it helps to control pronation; enhancing stability and support without sacrificing lightweight or comfort. A Trusstic System has been implemented to reduce the weight of the sole unit and link the forefoot and rearfoot. It integrates the Guidance Line, a vertical flex groove that enhances gait efficiency, while increasing the shoe's torsional rigidity to prevent it from twisting. 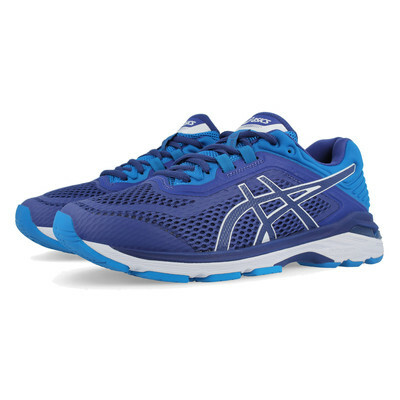 An AHAR (ASICS High Abrasion Resistant rubber) outsole completes the GT-2000 6, strategically placed in high-stress areas to supply excellent grip without compromising the shoe's permanence. Flex grooves adorn the outsole, introduced to promote natural foot flexion for easy, unhindered paces.